Owners of a Mexican restaurant that had leased the former The Camera Doctor space in Decatur have apparently had second thoughts. Following the closure last fall of The Camera Doctor at North Decatur Plaza, sources confirmed that a Mexican restaurant would open in its place. Months later, with no visible construction having been started, ToNeTo Atlanta has learned that the restaurant, Fernando's Fresh Mex, is no longer opening. Jeremy Rosenthall, who leases the center for Atlanta-based M&P Shopping Centers, confirmed to ToNeTo Atlanta that the 2,500 square foot space is available for lease, but did not provide details as to why the Mexican restaurant cancelled their plans. The center is located at the corner of North Decatur and Clairmont Roads and is anchored by a Mattress Firm Superstore. While it could be said that the area is in no need of another restaurant, the space, an endcap along Clairmont Road, does provide great visibility and decent parking, in a highly trafficked corridor. 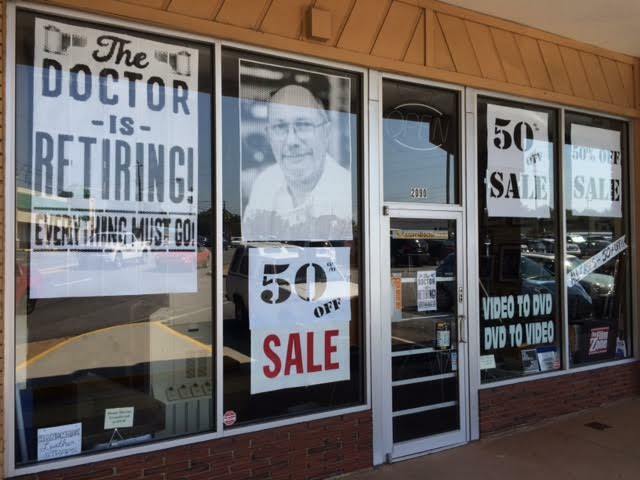 The Camera Doctor owner Steve Schwab retired last fall when he closed the store he owned for more than 25 years. The Decatur store, previously Jack's Cameras, was renamed The Camera Doctor in 2000. The closure of The Camera Doctor came on the heels of the closure of McMahan Shoes, also in the center. Little Caesars Pizza, which closed their location in the center earlier this year, remains vacant, while the former Seven Hens restaurant space reopened this past February as BullGogi, a Korean eatery. What would you like to see open in place of The Camera Doctor? Do you think the space should become a restaurant or something else? Have you been to the new Blaze Pizza or City Barbecue nearby?